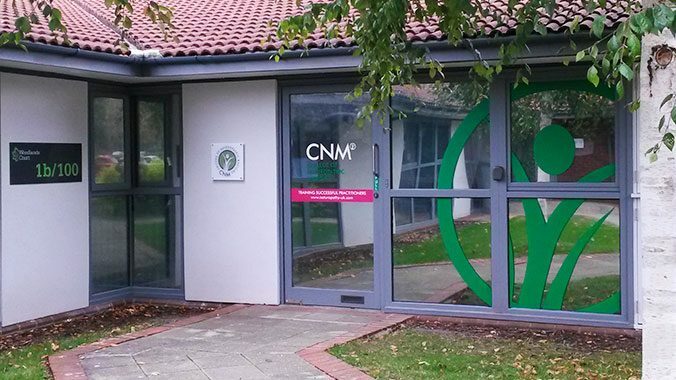 When CNM, one of the UK’s largest and best known Natural Health training providers, wanted to welcome new students, staff and visitors to their latest South West College, they were looking for a Bristol sign company that could deliver a bit of ”wow” factor to the College Entrance & Reception areas. Capitol accomplished this by taking a section of the CNM corporate logo and printing it to a large size and then applying it over four sections of mirrored glass. This created a stunning and highly visible exterior signage with the benefit of the mirrored glass giving privacy to students inside the college.